This photo was taken near Palmetto, FL. 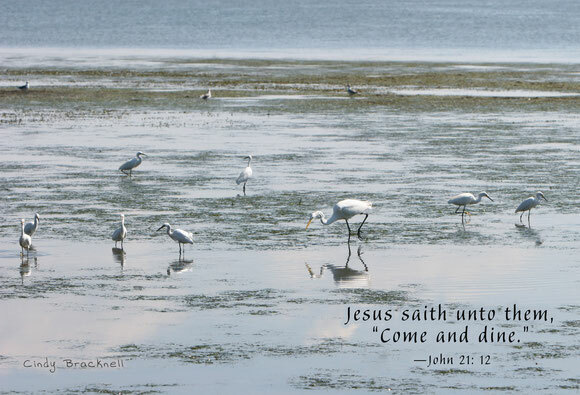 It is low tide and the wading birds are eating the small fish trapped in the shallow water. I was thinking how God provides for his creatures and thought of the chorus we would sing at camp lined up to go into the dining hall. To the hungry calleth now come and dine. " What a great reminder of how God provides for all of his creatures!